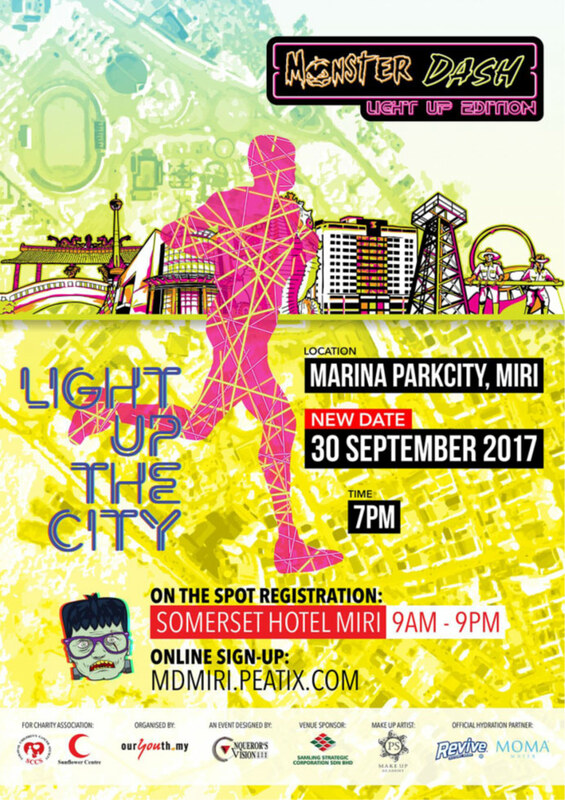 The Miri Monster Dash will take place on September 30, with the theme “Light up TheCity”, with proceeds dedicated to the Sarawak Children’s Cancer Society (SCCS) and Malaysian Red Crescent, Miri Chapter (MRCS) Sunflower Center. The run begins from 7.00 pm to 9.00pm to be held at the Marina Park City, Miri. The first Monster Dash was held in 2013 on Halloween and has been held annually ever since participated by 17,000 runners and raised over RM450,000.00 benefiting four charities in the city.